This may be our best issue to date. One of the biggest most expensive things Disney has ever done is called MyMagic+. It’s a colossal project that includes Magic Bands, FastPass+, the MyDisneyExperience app, the list goes on and on. This month we take an in depth look at MyMagic+. 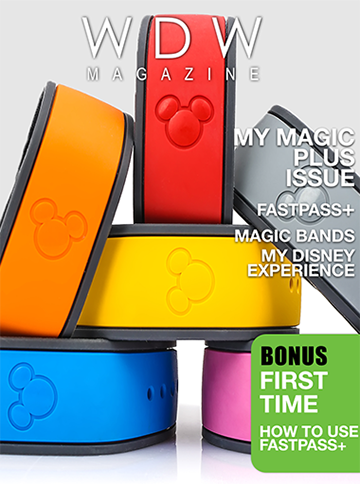 We talk about Magic Bands, ADR’s, FastPass+, the future and even the history of the MyMagic+ program. It’s really good. We also have a great roster in our great regular features. The Best of WDW features the Animal Kingdom Lodge, Rock ‘n Roller Coaster, Flame Tree BBQ and Mitsukoshi. Bring the Magic Home shows you how to create some really neat Mickey corkboards. 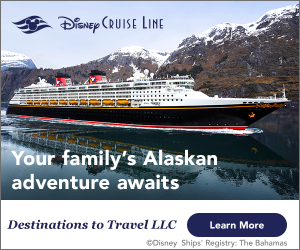 Our Helping Hands section covers the new Disney Disability Access Program and in our What I Love Most we’ll see how WDW is a Playground for all. You don’t want to miss this issue.